Interactive Trail Map Makes Planning Your Trip Easy! The Schuylkill River Greenways National Heritage Area is stepping into the New Year with a transformed website that includes new, mobile-friendly features such as an interactive Schuylkill River Trail map. “January is a time for new beginnings. 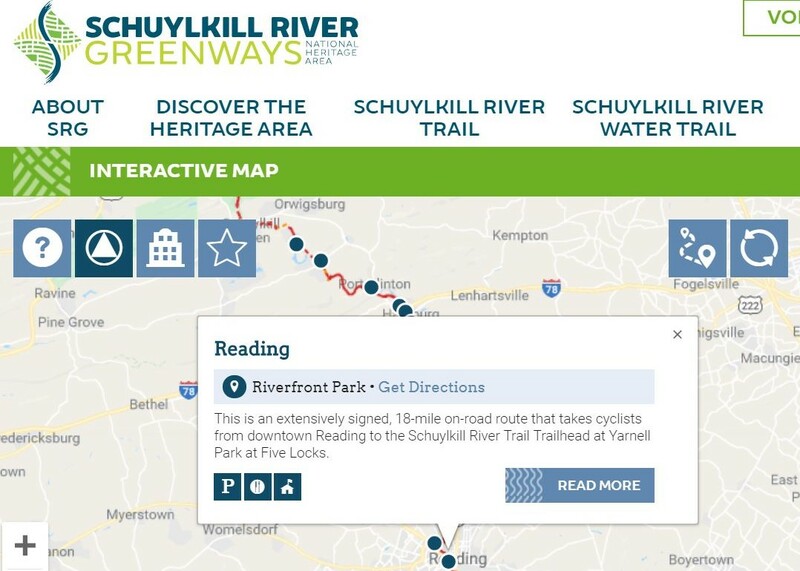 Schuylkill River Greenways is joining the trend with a fully-revamped website making it easier for people to explore the river, trail and communities within the heritage area,” said Schuylkill River Greenways Executive Director Elaine Paul Schaefer. The website now reflects Schuylkill River Greenways’ new name and logo which was revealed to the public last year. The homepage banner features the diamond-shaped green logo representing towns and fields with a blue river running through the center. The branded design represents the river, trail and heritage area and so does the new website. Schuylkill River Greenways no longer has a separate Schuylkill River Trail website. The renovated “schuylkillriver.org” now encompasses what was once two sites into a single site with bonus features. Anytime there is a “Trail Alert” such as a closed section, the information will appear in a bright red caution strip at the top of every page. The schuylkillriver.org homepage starts the journey to discovery with a scrolling carousel of the Greenways’ upcoming events and updates. 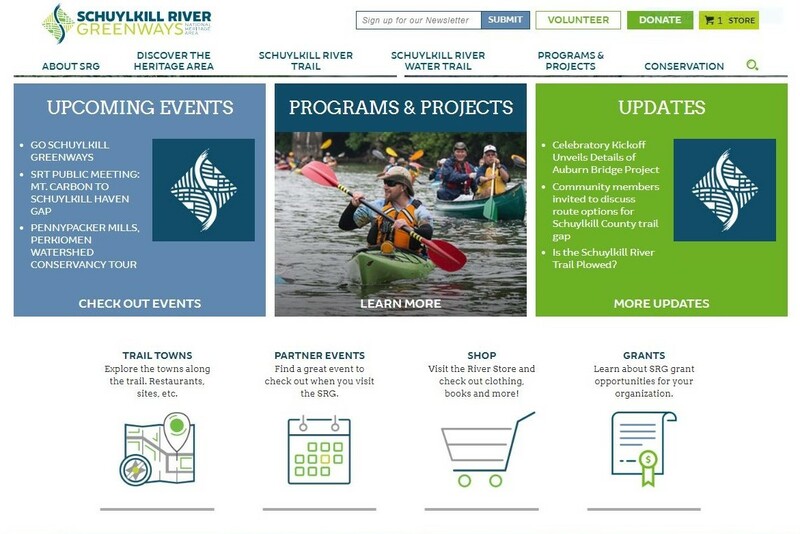 From the home screen, users can visit “The River Store” where items such as the award-winning “A Paddler’s Guide to the Schuylkill River Water Trail,” as well as apparel and book items can be purchased directly from the website. 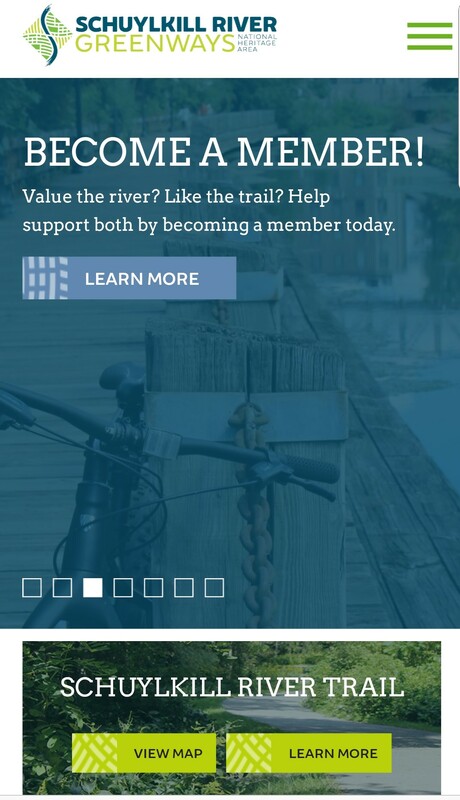 At the bottom of the homepage and every other page, is the Schuylkill River Greenways Instagram and Facebook feed so website followers can stay up to date with regular posts. 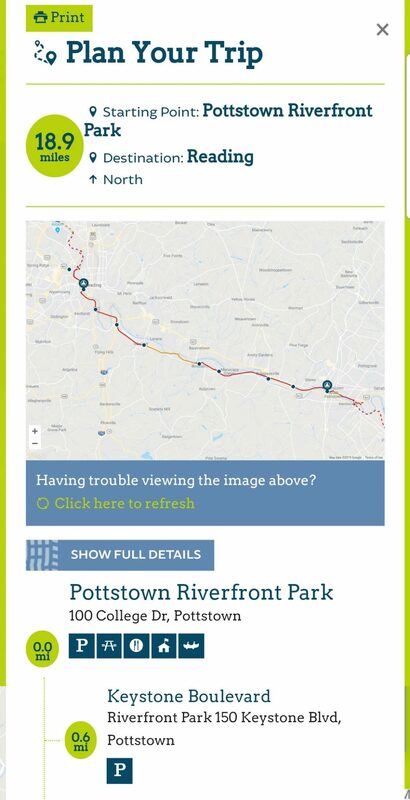 One of the most exciting features of the new website is the interactive Schuylkill River Trail Map. 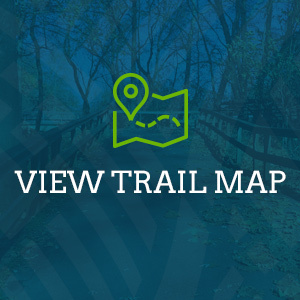 The map can be accessed on the home screen by scrolling down and clicking the button on the Schuylkill River Trail photo or by going to the Schuylkill River Trail top menu and selecting “Interactive Map” from the list. New users of the map will automatically have an informational box pop up. The box contains instructions on how to use the map. There is a map legend to help identify completed trail versus proposed trail sections as well as off-road sections versus on-road pieces. Clicking the blue directions box on the map will bring you to the “Plan Your Trip” section. This feature can be used on mobile devices and desktop computers. Trail users can select a starting trailhead and destination trailhead to view a detailed set of printable directions for the journey. The directions have the trip’s total miles and a photo of the map route. The directions also include a list of amenities for each trailhead along the route such as parking availability and restrooms. There are quick-link icons on the map for trailheads, towns and places to visit. Selecting the icon will bring up a set of dots on the map for the corresponding category. To view a text listing of each category; users simply have to select the drop-down menus on the right-hand side of the page. Clicking on an item in the list will bring up more information. “The interactive map makes it easier for people to discover the many gems within the heritage area from restaurants to education centers to historical grounds,” Schaefer said. “Website users have the ability to see a place’s location on the map and its proximity to the Schuylkill River and Schuylkill River Trail. The map is an engagement tool and will help connect communities to one of the region’s most vital resources, the Schuylkill River,” she added. Connecting communities to the river is one of several goals listed in the Schuylkill River Greenways’ 10-year strategic plan entitled “(Re)Turn to the River.” The “Schuylkill River Water Trail” page includes maps of the river from the water trail user guide. The website will eventually have an interactive water trail map just as there is an interactive Schuylkill River Trail map. The strategic plan also calls for finishing the entire trail, which will run a projected 120 miles from Philadelphia to Frackville. Currently about 75 miles of the trail are constructed in disconnected pieces. Users can discover more about the Schuylkill River Trail by visiting the drop-down list under the “Schuylkill River Trail” menu. The list includes pages about towns along the trail, trails that connect, and sites accessible from the Schuylkill River Trail. 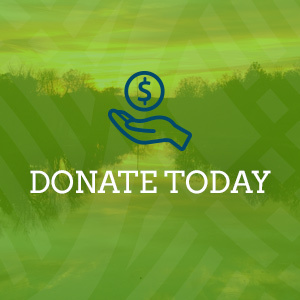 Another Greenways’ strategic goal is to protect and restore the river and engage people in programs that encourage them to value and advocate for the river. The “Conservation” page on the website informs users of the challenges to river health. It also includes information about the Schuylkill River Restoration Fund which provides grants to improve the quality of water in the watershed. The “Programs & Projects” page is the place to visit to learn about Schuylkill River Greenways’ annual events such as the Schuylkill River Sojourn, Ride for the River and the many educational opportunities provided for free to those within the heritage area. This section also has a subpage called “Current Trail Projects” which gives details about ongoing works in progress. The new website is another tool Schuylkill River Greenways is using to champion the watershed and its heritage. The boundaries of the Heritage Area include Schuylkill, Berks, Chester, Montgomery and Philadelphia Counties. “The vision of Schuylkill River Greenways is for the five-county heritage area to be a thriving and economically vibrant region and for the people within the region to be stewards of the Schuylkill River watershed passionate about its protection,” Schaefer said. The Schuylkill River Greenways NHA is a non-profit organization with the mission of connecting residents, visitors and communities to the Schuylkill River and the Schuylkill River Trail (SRT) by serving as a catalyst for civic engagement and economic development. The Schuylkill River Greenways National & State Heritage Area is managed by the Schuylkill River Greenway Association (SRGA), a 501(c)3 non-profit.